The ‘Landscape Machine – Design Laboratory’ was founded in 2012 in the Netherlands by landscape architect Paul Roncken and part of a PhD thesis on the aesthetics of the sublime. 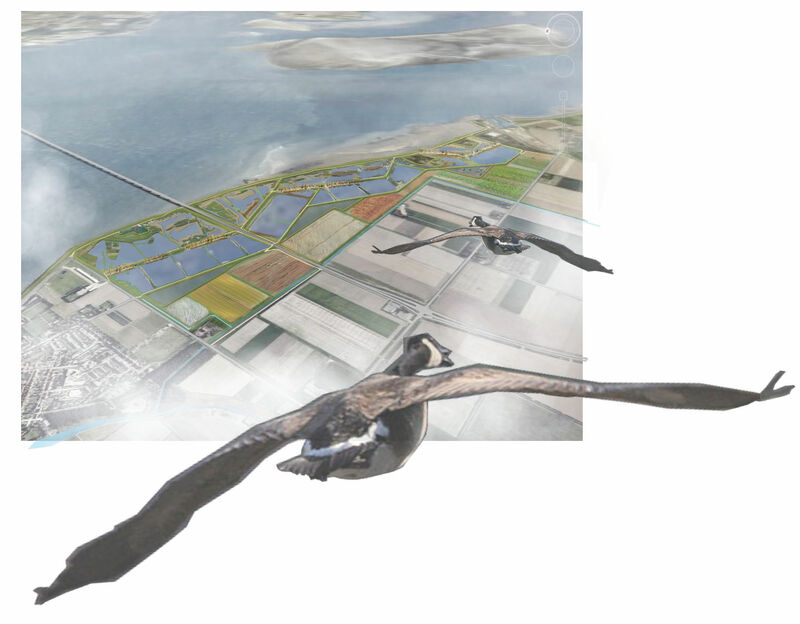 It is the result of continuous student interest at the Wageningen University in designing and conceptualizing living landscapes with productive qualities. 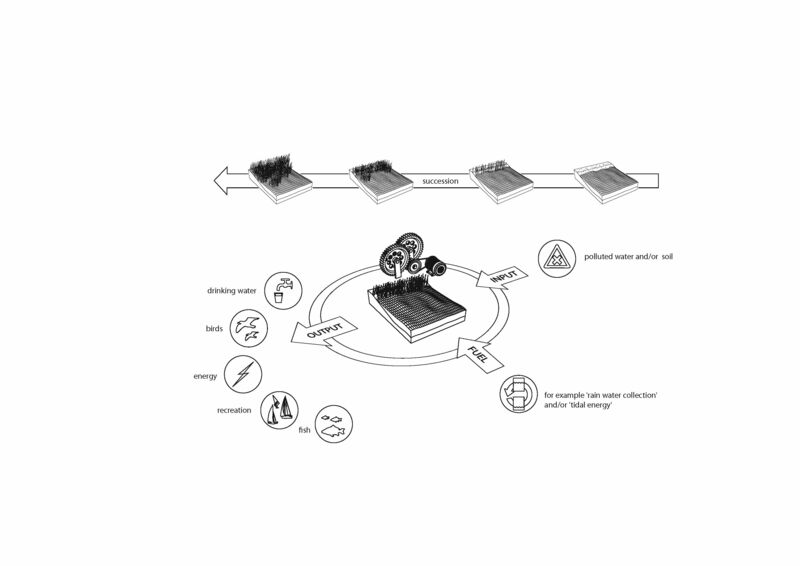 Products range from classical agrarian products to new energy harvesting and pollution solutions. The students are working at their final Msc Thesis projects in landscape architecture. The team has regular meetings in which we discuss the design aspects of the landscape and the scientific aspects of the living machine. We cooperate with scientific fields such as fish breeding, renewable energy, aquatic ecology and climate studies. As landscape architects we also cooperate with artists, product designers and entrepreneurs that dare to invest in future environments and will inspire future generations and generate new biotopes. 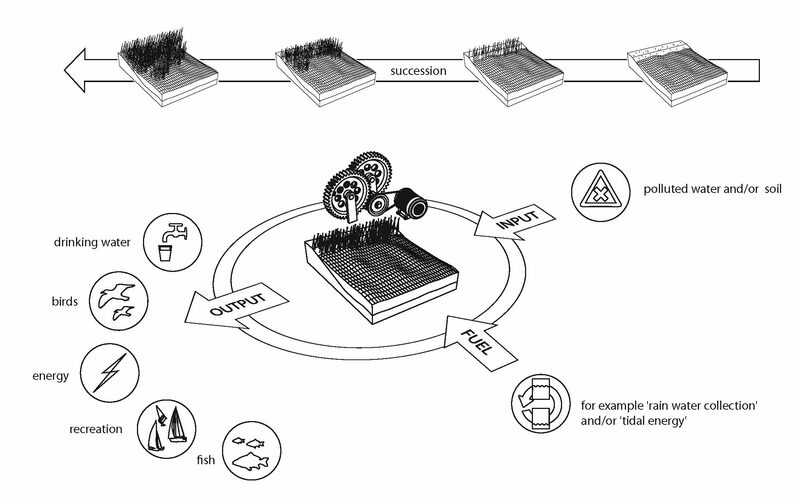 Figure 1: Conceptual visualization of the functional components of a Landscape Machine. Landscapes need not be designed at all if they are to reflect the potential of wildernesses. Despite the autonomy of landscape development, human imagination inspires to create an organized functionality and lush diversity of biotopes. Human imagination is central and essential in the development of additional types of living systems that proof that humans contribute to life cycles in extraordinary manners. Landscapes are thus not only places to comfort and satisfy human needs, they are places that are proof of human imagination and technical competences. Additionally, designed landscapes are environments to enhance dormant potentials of the abundance of energy that is present on an everyday basis.